Review of "It's a Book" by Lane Smith, published in 2010 by Roaring Brook Press and “Beautiful Oops” by Barney Salzberg published in 2010 by Workman Books. Leave it to Lane Smith, (author of “The Stinky Cheese Man and Other Fairly Stupid Tales”, "Glasses: Who Needs 'Em?" and "The Big Elephant in the Room" ), to turn the obvious on its head. The characters in “It’s a Book” live in a world not difficult to imagine, where one character is completely unfamiliar with the concept of a traditional children’s storybook. This character is a techno-savvy donkey that doesn’t know how to hold a book, much less read one. He tries to apply all technology’s tricks to the simple picture book. Does it tweet? Does it need a password? Does it need a screen name or a mouse? Page after page, his literary monkey friend patiently points out that a book can’t tweet and doesn’t need a password. The picture book doesn’t need them because after all “It’s a Book!” Instead, it offers something far better: a place full of adventure where time is meaningless and a lucky reader can be lost for hours. It's a book! Finally, the donkey settles down with the book and discovers the secrets that lie between its pages. The story will leave book lovers chuckling with delight and writers wishing they had thought of it first. (Some may object to the use of the word “jackass” in a children’s book but it is used without malice and might be used to provoke a discussion about context.) Roaring Brook Press published “It’s a Book” in 2010. 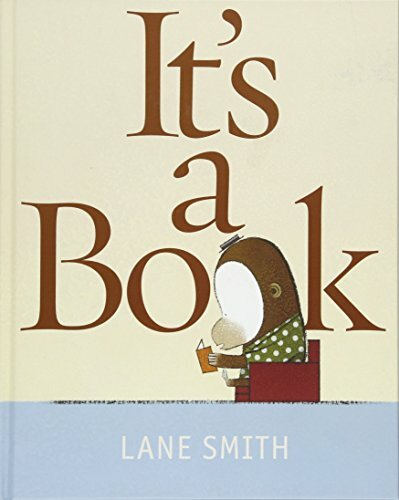 Below is a nice video preview of "it's a book" as well as other excellent books written by Lane Smith. Lane Smith is an author as well as an illustrator. Have you read "It's a book"? Looks at some really stupid tales including "Chicken Licken", "The Princess and the Bowling Ball", "The Really Ugly Duckling" and "Jack's Bean Problem". 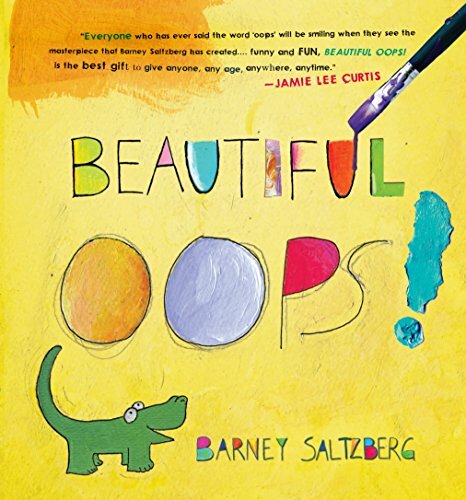 In “Beautiful Oops”, the world is a place where there are no mistakes, only opportunities. Inventive illustrations show how bent and torn pages can become bird beaks or crocodile grins and crumpled paper becomes a sheep’s fluffy wool. In “Beautiful Oops,” every accident has a purpose. A stain, a smear, or a spill can be reborn as any creature of you can imagine. Salzberg demonstrates that an accidental goof that might cause tears from a young artist simply needs to be viewed in a new way. The thick, board-book pages are filled with tactile creations that transform every “oops” into art and remind readers young and old that a new perspective makes anything possible. This book is really a must read. Kid's will relate, parents will have a laugh. Who never said "oops"? "Beautiful Oops": it's ok to make mistakes! Have you read "Beautiful Oops"
Oops or comments are welcome! Both books look promising. I like how contemporary writers incorporate education and DIY projects in stories. This way a book serves as beautiful connection between imaginary and real world - what is actually the same thing just from two different perspectives. 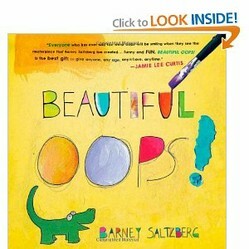 I really like the idea of the 'Beautiful Oops' book - looks really good. I believe books for kids hold the magic of imagination and knowledge from cover to cover, if we but turn the page. Rapunzel is a classic fairy tale which origins can be traced more than thousand years ago. Did Rapunzel really live?